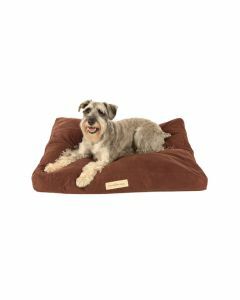 Pamper your pooch with a new small dog bed from BeanBagBazaar. These small dog beds are designed with care and made from tough yet supple fabrics for your pet's comfort. Small dog beds are perfect for puppies, small dog breeds and toy dogs, giving them the ideal place to rest after walking and playing. Available in classic, Poi Dog® or Ruff & Barker® styles.